Weekend Roundup “P” | The Happy Wonderer ~ ellen b. A Precious Pair at our Piano! I have so many pretty plates that I packed and unpacked and found a place for in our new place. 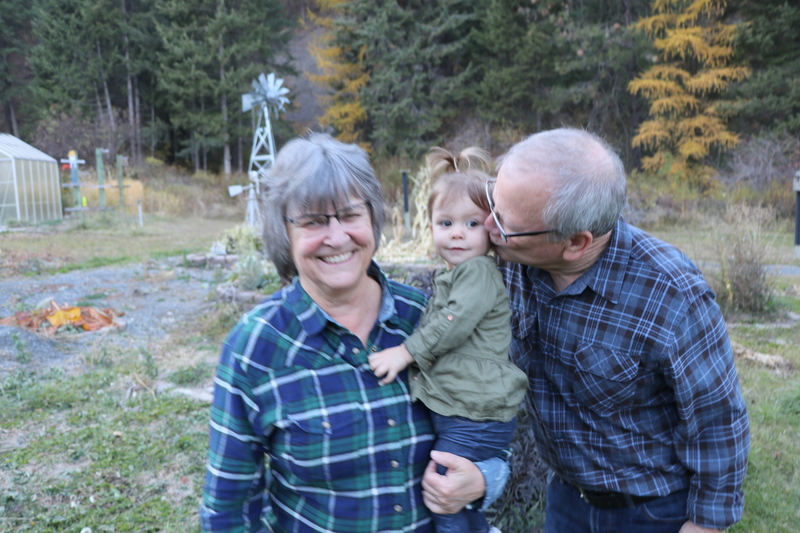 Grand “Parents” having a photo shoot with our grand before our pumpkin dessert. And I forgot to mention we have a pond that perplexes us with it’s proper upkeep. Linking up with Tom The Backroads Traveller for Weekend Roundup. 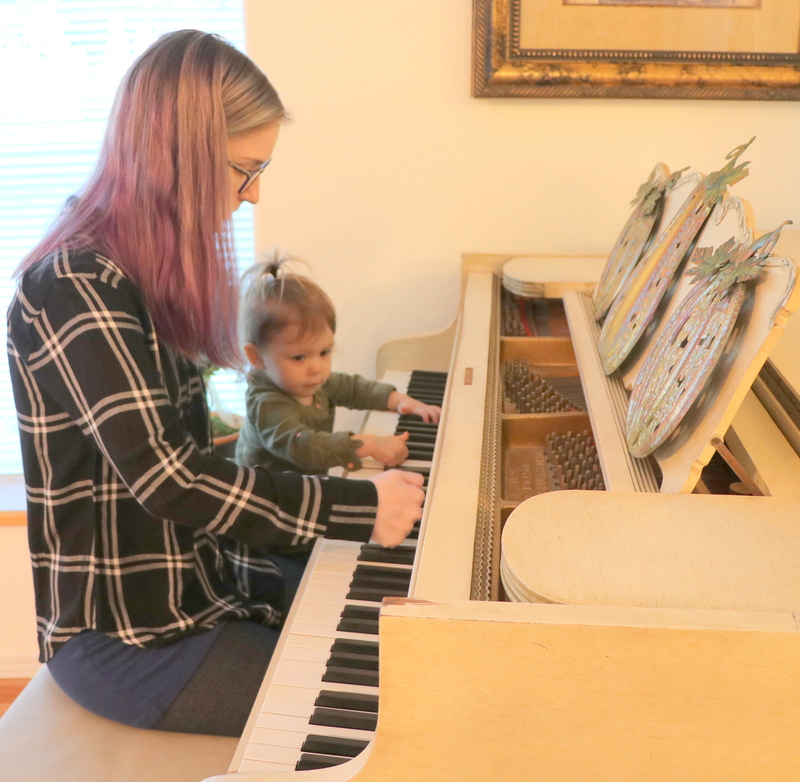 Posted on October 19, 2018 by Ellen •	This entry was posted in Addyson May, Meme and tagged Chickering Baby Grand Piano, Family, The Weekend Roundup, Weekend Roundup "P". Bookmark the permalink. Hi Ellen ~~ You have a really nice “P: page. Good the fellows could go deer hunting. Nice to have an early Thanksgiving get-to-gether that way. We do that with birthdays. We have 19 not counting young children. …three ‘P’s for the price of one! Thanks Ellen for sharing, enjoy Cutie ‘P’ie! I love this fun post!! 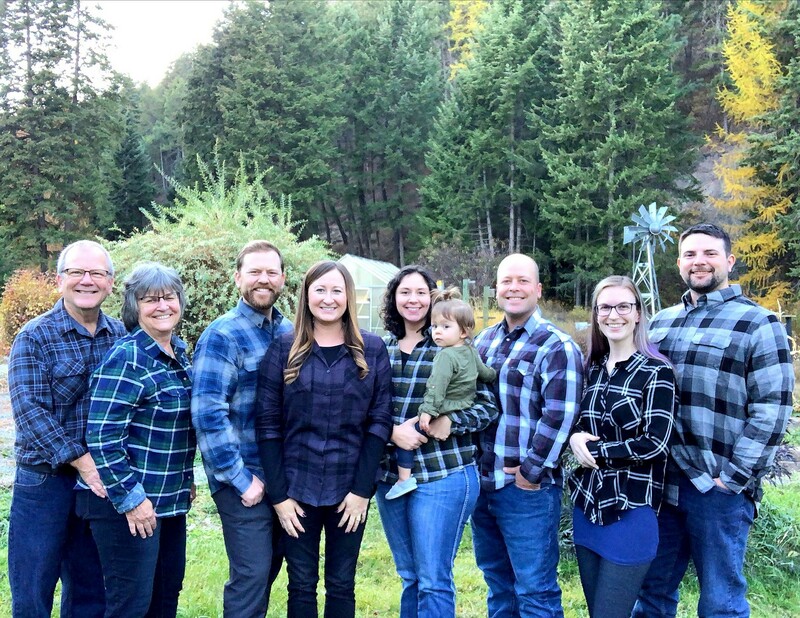 I like the idea of plaid shirts for a family photo. That turned out great! Great post, Ellen. I took piano lessons for years, have an old player piano in my home, and yet never thought to use that “P” word! I think I know just what your “precious pair” are playing! Not too many songs, that you play using your knuckles, LOL! Your pretty dishes remind me of some my Mom had, hers were Staffordshire pattern by Johnson Brothers. I also, still have a set, my pattern is Hearts and Flowers. Love the plaids, too! Have a good week! Ellen, “P” for a perfect post! I always love pretty plates, but it’s the plaids I’m loving today. We don’t have any plaids, and I just got it into my head about a week ago that I’d like to get a Pendleton plaid shirt some time. Lots of great P’s. : ) Cool that you have a pond! 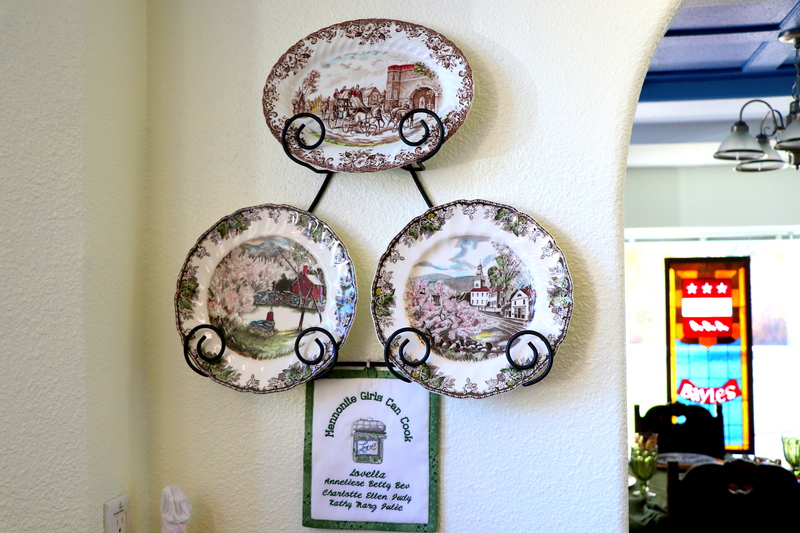 Your plates look more at home in your country house. Love the pics. Very special photos of you with your sweet family Ellen, and those plates are pretty. They make a lovely display on your wall. A family of Plaids—how perfect—oops another ‘p’. We have a pond and it such a fun thing to mess around with. We had some huge Koi–I mean HUGE! When my hubby became ill we didn’t take care as we should have and the cattails started taking over and canary grass grew in and now my daughter and I are trying to reclaim. 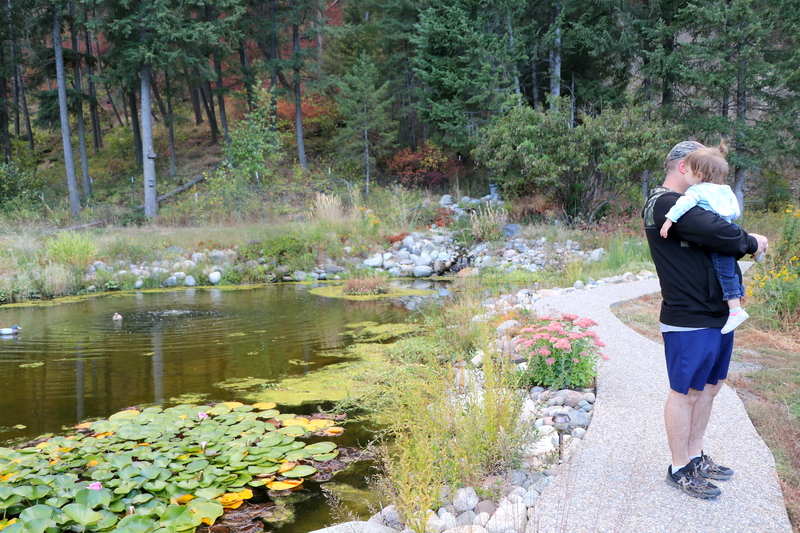 Due to 2 years or maybe more of droughy summers and this year the pond almost dried up—well all the Koi died. But a pond is fun. My girlfriend and I canoed in it too. We laughed and laughed. I love the family pic with plaids. I’m going to suggest that to daughter next time I take their pics. You sure found some nice Ps.